Expo Veneto: Green... what a passion! Event > Green... what a passion! GREEN... WHAT A PASSION! A path edicated to those who wish to discover the wonders of a park unique in the world: the Parco Sigurtà (1 km. far from us), and also enjoy the the traditionals Valeggio's flavors. The Parco Sigurtà is a spectacular green oasis of 600,000 mq. and it arrives until the edge of the hills, near Lake Garda, just 8 kilometers from Peschiera del Garda. It's the home of countless natural and historical attractions: on March and April you can admire one million tulips, which are the more important flowering in Italy and the richest of Southern Europe; the Avenue of Roses, which from May to September shows its 30,000 roses; an extraordinary labyrinth; 18 lakes, where between June and July aquatic plants are blooming and vast green fields. 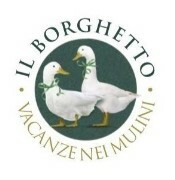 After the discovery of the park you can not miss a dive into the pleasures of food with the discovery of traditional dishes of Valeggio served and savored at Borghetto, the most beautiful Borgo d 'Italy. The proposal includes a 2 night stay in the mills of Borghetto, the entrance to the park Sigurtà and a dinner in a restaurant of Borghetto.